Washington, DC – Today The Climate Reality Project announced the 31st Climate Reality Leadership Corps training to be held in the Philippines, March 14-16. The application period for the Manila training is now open, and we will be accepting applications until February. Al Gore, former Vice President of the United States and chairman of The Climate Reality Project, will lead the Manila training for hundreds of new Climate Reality Leaders providing them with the knowledge and tools to build public awareness of our global climate challenge and drive action for solutions worldwide. This is the first Climate Reality Leadership Corps training after the COP21 summit held in Paris this past December. Joining Vice President Gore will be an impressive list of world-class scientists, strategists, communicators, and technical specialists discussing the science of climate change, the direct cost climate impacts are having on communities around the world and solutions available to solve the climate crisis. The intensive program is designed to formally train a new group of community, government and business leaders to become Climate Reality Leaders, who then become change agents in their own communities. They will emerge from the program as energized and skilled communicators with the knowledge, tools and drive to educate diverse communities on the costs of carbon pollution and what can be done to solve the climate crisis. Thus far, The Climate Reality Project has thousands of Climate Reality Leaders from more than 130 countries, including recent trainings held in Miami, Toronto, New Delhi, Istanbul, Chicago, Johannesburg, Rio de Janeiro, and Melbourne. For the citizens of the Philippines, climate change is not a far-off, vague notion. It is an everyday reality. The Philippines currently ranks third on the list of countries most vulnerable to climate change due to harsh weather patterns and rapidly rising sea levels. The islands are dangerously exposed to tropical storms, which have increased in frequency and intensity, in fact the country has experience four of its ten most devastating storms in the last decade. Additionally, due to the lack of resources available to many in the Philippines, the impacts of these storms leave a lasting mark. However, in addition to highlighting the daily challenges faced in the Philippines every day, the training will focus on the country’s unique position to combat climate change on a global scale. As ground-zero for climate change impacts, the Philippines is the strongest voice to lend credence to the global movement, combat the problem and ultimately adapt to the effects. Even though the Philippines is responsible for less than 0.35% of global emissions, the country is actively working to make local alterative energy options the norm. Rooftop solar panels, coconut-based biodiesel and wind farms in Ilocos Norte and Panay are leading to new jobs in the Philippines and supporting the growth of the clean energy economy. “As a native of the Philippines, I have spent my life working to protect biodiversity and foster sustainable development especially in the small island of Sibuyan, in Romblon province, where we enjoy 100% clean energy through mini-hydro while protecting our watersheds, home to many endangered species of flora and fauna", said Rodne Galicha, Branch Manager for The Climate Reality Project in the Philippines. "I have participated in numerous Climate Reality trainings as a trainee, a mentor and a presenter and am eager to bring this powerful network to the Philippines; the frontlines of those impacted by climate change." Bringing together business, local citizens and political climate voices in Manila will raise awareness about the significant impact climate change is already having while also continuing the 2015 Paris momentum and start to put into practice solutions and policies that will have a global impact. CALBAYOG CITY – CY 2015 saw 65 accomplished projects from DPWH Samar I. Among these, fourteen accomplished projects with total programmed amount of P159,730,741 were related to flood control and drainage projects. Among the flood/river control structures constructed, rehabilitated and/or improved for CY 2015 are those located along Kinawan River in Brgy. San Joaquin, Bulongto River in Brgy. 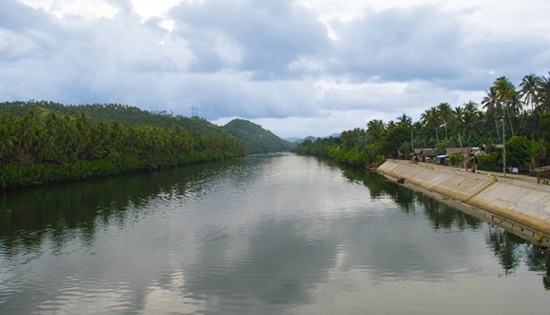 Malopalo, Malajog River in Brgy. Malajog (Phase II), Jibatang River in Brgy. Lonoy. There were also flood control projects in Brgy. Bantian, Brgy. Malaga (Phase II), Brgy. Peña and two more projects in Brgy. San Joaquin. On the other hand, Rueda St. Calbayog City, Brgy. Balud, Brgy. Payahan, Brgy. Aguit-itan and Brgy. Ba-ay were the situs barangays for the construction, repair and/or rehabilitation of drainage systems. Of these fourteen projects six were under contract with B. Vicencio Construction, three by JFR Construction, three by CDU Construction and two by Rhyes Construction. As of December 31, 2015, only three flood control-related and four drainage-related projects are ongoing. QUEZON CITY – "No less than President BS Aquino is accountable for the death of detained peace consultant Eduardo Serrano; and so are the Office of the Presidential Adviser on the Peace Process (OPAPP) and the 204th Infantry Brigade (IB) of the Philippine Army,” Cristina Palabay, Karapatan secretary-general said in a picket protest in front of the OPAPP. "It is BS Aquino and the OPAPP’s disinterest in pursuing peace negotiations with the National Democratic Front of the Philippines (NDFP) and their intransigence on keeping Serrano in prison that led to the deterioration of his health and eventual death after undergoing heart surgery,” Palabay claimed. On the other hand, it was the 204th IB in 2004 during the Gloria Macapagal-Arroyo regime that cooked up criminal charges against Serrano, insisting that the NDFP peace consultant was in fact Rogelio Villanueva, supposedly a New People's Army leader who led an ambush against the state troopers. For more than 11 years, political prisoner Serrano and his legal counsels told the same thing in different courts: that Serrano was not Villanueva. Finally, in 2015, Quezon City Regional Trial Court Branch 98 said as much, and ruled in Serrano's favor. "If only the OPAPP honored the Joint Agreement on Safety and Immunity Guarantees (JASIG), did not block the release of NDFP consultants, and pursued peace negotiations, Serrano would still be alive and enjoying his much deserved freedom," lamented Palabay. "As if it was not enough to sabotage the peace talks with the NDFP, the OPAPP has the gall to make monkey business out of the peace process," Palabay argued. She cited as proof of corruption the P1.14B unliquidated OPAPP funds from the Disbursement Acceleration Program, or presidential pork; and the P45M worth of car rentals and fake signatures of attendees in OPAPP activities. It looked like OPAPP Secretary Teresita 'Ging' Deles deliberately stalled the peace talks to make money,” said Palabay. "Was the P1.14B fund the largesse of paramilitaries in Mindanao? Or was it the money used in the counter-insurgency programs disguised as peace initiatives, one of which facilitated the Lumad killings and the displacement of Lumad communities?" Palabay asked. Currently there are 18 detained NDFP peace consultants who have been slapped with various trumped-up criminal charges," Palabay revealed. Serrano used to be the political prisoner held the longest among the peace consultants, until he was rushed to the hospital last December for his serious heart ailment. He died three weeks later. Leopoldo Caloza now holds the dubious title among the NDFP consultants. Imprisoned since 2006, he was convicted of murder in 2015, together with Emeterio Antalan. "OPAPP does not stand for peace. In fact, it is now exposed as a conduit for funding and implementation of the bloody counter-insurgency program Oplan Bayanihan," Palabay said. Karapatan demands justice for Eduardo Serrano, the release of all political prisoners, and the resumption of the peace talks with the NDFP. PARIS – After shaking up the fashion world with a 4000-feet catwalk over the Grand Canyon and the Eiffel Tower phenomenon, Jessica Minh Anh will transform the sky-high sundeck of the luxurious Costa Luminosa cruise ship in Sydney into the world’s newest runway. With the iconic backdrop featuring Sydney Opera House and Sydney Harbour Bridge, J Spring Fashion Show on 14 March 2016 will mark yet another breakthrough in the modern fashion presentation. Costa Luminosa will be at anchor during the show, providing exclusive VIPs and the press with an opportunity to experience the unique catwalk right in the middle of the ocean. This is the second time Jessica Minh Anh has worked with Costa Cruises after the international success of J Winter Fashion Show on Costa Atlantica in Dubai in 2013. “Jessica Minh Anh is known worldwide for producing the world’s most extraordinary catwalks at places such as London’s Tower Bridge, the Seine in Paris, and One World Trade Center in New York City. We are extremely honored to work with her again on our Costa Luminosa (the ship of light) new flagship, providing a “Italy’s finest” location to this important event” said Neil Palomba, President Costa Cruises. Similar to Jessica’s previous history-making catwalks, J Spring Fashion Show 2016 will feature a combination of haute couture, high end ready-to-wear, and jewelry collections from 4 continents. According to ABC New York, Jessica Minh Anh is special in many ways, one of which is her ability to mix art, architecture, culture, and fashion. The “queen of catwalk stunts” (CNN) has worked with not only top labels such as Montblanc, Graff Diamonds, Paul Costelloe, Addy van den Krommenacker, Yumi Katsura, Shiatzy Chen, and Tony Ward, but also promoted young talents including Ivanka Trump, Shilpa Reddy, Ziad Nakad, and Rami Kadi. The highly anticipated catwalk will welcome country ambassadors, ministers, international fashion designers, Fortune 500 company directors, influential faces from various industries, and of course the international press. The full list of participating fashion brands and partners will be revealed in February 2016. QUEZON CITY – Nearly eight out of 10, or 76% of 1200 respondents will vote for candidates whose platforms include ensuring food sufficiency and addressing farmers’ needs, reveals results from the Social Weather Station (SWS) 2015 3rd Quarter Social Weather Survey, in the items commissioned by environmental group Greenpeace Philippines. The nationwide survey, conducted from September 2-5, 2015, also showed that 75% of the respondents prefer presidential candidates who will ensure that food needs are met and 70% would support candidates who will promote environment-friendly farming. Moreover, 44% of the survey respondents entreated the government to focus on financial support to farmers to make farming climate resilient while 39% expressed support for ecological agriculture such as organic farming. “Agriculture, specifically Ecological Agriculture, has taken a back seat in terms of government prioritization. We have the Organic Agriculture Act but actual implementation and government support has to improve tremendously. Our presidential candidates should take these survey results seriously, as these show how concerned Filipinos are with our current food and agriculture systems,” said Vigie Benosa-Llorin, Food and Ecological Agriculture Campaigner, Greenpeace Philippines. Ecological Agriculture, which includes organic farming, is a climate resilient farming system that will address the issue of food security concerns. It is a farming system that combines modern science and innovation with respect for nature and biodiversity, and ensures healthy farming and food production while protecting the soil, water and the climate. Ecological agriculture does not contaminate the environment with chemical inputs or use genetically engineered crops. “We challenge our Presidential candidates to clearly state how he/she will support the farmers, address issues on food sufficiency, and make farming climate resilient and environment-friendly. While each candidate may have their own lines about agriculture, the voters are looking and demanding for more than mere rhetoric, but rather real programs and policies towards safe, healthy and sustainable food and agriculture systems that respond to the continuing plight of Filipino farmers, the majority of whom continue to reel from mass poverty, hunger and destitution,” added Benosa-Llorin. On the other hand, Kilusang Magbubukid ng Pilipinas (KMP) laments the poor state of agriculture in the Philippines, and calls on the government to stop supporting chemical-based and corporate agriculture and instead develop policies that will help farmers through the promotion of Ecological Agriculture. "In recent decades, the promotion of agricultural liberalization and corporatization has also intensified the condition where toxic chemicals and engineered organisms bear down on the Filipino farmers and consumers and their efforts to promote socially-desirable practices including organic, sustainable and ecological agriculture,” said Rafael Mariano of Kilusang Magbubukid ng Pilipinas. “In fact, the Philippine government has generally negated the objectives of sustainable and ecological agriculture as it continues to promote an overall policy of chemical farming that is founded on rural monopolies in land, income, wealth and power." In a landmark decision from the Supreme Court released last December 2015, the high court barred the field testing of Bt eggplant and placed a temporary ban on the development of genetically modified organisms (GMO)s. Greenpeace sees this an opportune time for the next president to lead the country away from conventional agriculture and to shift to Ecological Agriculture. The Philippine weather and climate agency Philippine Atmospheric, Geophysical and Astronomical Services Administration (PAGASA) also announced that the Philippines will experience the full impact of the prevailing strong El Nino phenomenon's peak intensity during the first semester of 2016, which is expected to usher in drought and dry spell conditions from below-normal rainfall and warmer-than-normal air temperature. “With the Supreme Court decision in place and the effects of El Nino threatening the agriculture sector and thus, our food sufficiency, now is the time for the Philippine government – especially for the next president – to look into appropriate, innovative, climate-resilient, environment-friendly and science-based farming, which is what Ecological Agriculture is,” concludes Benosa-Llorin. QUEZON CITY – The movement of capital, skills and professions in the Association of Southeast Asian Nation (ASEAN) integration which began last week is both an opportunity and misery for workers in the region, said the Trade Union Congress of the Philippines-Nagkaisa. “The integration will further stimulate jobless growth, race to the bottom phenomenon and promote other forms of precarious work conditions including lowered standard in occupational safety and health particularly if labor laws enforcement is weak and regulatory institutions are irrelevant,” said TUCP spokesperson Alan Tanjusay. However, if the Philippine’s institutions law enforcement are relevant, the integration will prove to be potential for workers. “On the other hand, we can expect a wider job market for Filipino workers who are highly sought after because of their reputation for excellent craftsmanship. Thus, we see a rise in remittances and the spike of job-creating allied services which are additional perk to the economy,” Tanjusay said. But the social cost of outward migration would have further adverse impact on family ties and compound the domestic “brain drain” conundrum. Jobless growth is the growing of wealth and enhancing of economy but unemployment, underemployment and poverty is also growing alongside. With the integration, employers will have more leeway to pursue leaner and meaner operations, outsource jobs within and across borders and relocate production in the cheapest location. Race to the bottom, meanwhile, is a situation in which companies and governments try to compete with each other by cutting wages and living standards for workers. In the Philippines, an estimated 60,000 to 70,000 sugar workers were already in the process of losing their jobs with the reduction of sugar tariff to 5%. This is exacerbated by the inability of the sugar mills to modernize and compete with other ASEAN economies. The next segment of workers to who might their lose jobs are those in the banking and construction sectors. “We also fear that the integration will also encourage widespread contractualization, non-regularization of jobs, and prevalence of many other forms of precarious work arrangements that require proactive regulatory institutions,” Tanjusay said. However, the country’s dilapidated infrastructures, the ageing air and seaport logistics system, the high cost of doing business, and the high cost of electricity, unreliable mass transport system, the routine monstrous traffic congestion, and the turtle-paced government response to modernize these remains to be the obstacles to investments, Tanjusay said. “We hope that there would be transfer of knowledge and technology when professionals practice in the Philippines and vice versa which we hope would redound to a lowered cost but efficient service,” he added. With the integration, Tanjusay stressed that the country’s Alien Employment Permit issued by the Department of Labor and Employment (DOLE) and the Work Visa and the Special Work Permit (SWP) issued by the Bureau of Immigration (BI) should be reviewed. Because of these double functions and lack of coordination between these two agencies, work permits are rife with graft and corruption resulting to lack of protection for foreign workers working in the country. “There has been so many government initiated tripartite discussions in the past. We recommend that a single government oversight unit that grant, supervise and manage these work permits for practical purposes,” Tanjusay said. Due to many variables at play in the process of integration, labor groups will be more vigilant to ensure government is doing its rightful job of enforcing labor laws and that employers are responsible in doing business. “Labor groups will be more vigilant against labor abuses. We also have established links and coordination with global union federations in the ASEAN region with the goal of ensuring the integration process also benefits workers,” Tanjusay said. CAMP KANGLEON, Palo, Leyte – PCSupt Jose Erwin T. Villacorte, the newly assumed Acting Regional Director of Police Regional Office 8 ensures the public that Police authorities will intensify its effort to undertake public safety activities to achieve a peaceful and orderly 2016 elections on May 2016. The PNP, as one of the deputized agencies of the COMELEC, has already disseminated to all its units that the gun ban will start midnight January 9, 2016 until June 8, 2016. In this connection, Police authorities throughout the Eastern Visayas will simultaneously establish COMELEC checkpoints to implement the total gun ban which will start midnight of January 9, 2016, in time for the start of election period for the May 2016 presidential and local polls. PCSupt. Villacorte said, the propagation of loose firearms has been identified as one of the main causes of violence during election period. "This is one of the dos' and don'ts that we are going to enforce during the election period which will start on January 10. All candidates cannot hire or bring bodyguards without gun ban exemption," Villacorte added. Comelec Resolution No. 3328 provides for the poll body to prohibit during the election period the carrying and transporting of firearms or deadly weapons by any person. He added that those qualified candidates are not allowed to hire private armed men, only professional security personnel. Only members of the Philippine National Police (PNP) and Armed Forces of the Philippines (AFP) including blue guards and other security government agencies are allowed to carry firearms during work hours in its areas of responsibility. The campaign period for national candidates (president, vice president, senator, and party-list groups) is set on February 9 to May 7, 2016 while for local candidates will be on March 25 to May 7, 2016. According to COMELEC, the Certificates of Authority/Gun Ban Exemptions issued in previous National and Local Elections shall not be recognized anymore in this year’s Elections. Thus, all law enforcers and security personnel in the country are reminded to apply for the renewal of their Certificates of Authority/Gun Ban Exemptions. Furthermore, all existing authority previously granted to security personnel or body guards are likewise revoked, except the regular security complement of the President, Vice President, Senators, Congressmen and Governors, all local Elective Officials (except Barangay Officials), Justices, Judges, Cabinet Secretaries, Chairman and Commissioners of the Commission on Elections, Chief of Staff of the AFP and AFP Major Service Commanders, Director Generals and Senior Officers of the PNP. According to the Acting Regional Director, PNP will also continue its intensified conduct of checkpoint operations as one of the measures of implementing the gun ban. Thus, the public is advised not to carry their firearms as such act is prohibited under the pain of criminal and administrative sanctions. Also, the PNP further asks the public, especially the motorists, for their cooperation and patience during the checkpoints. Likewise, PCSupt. 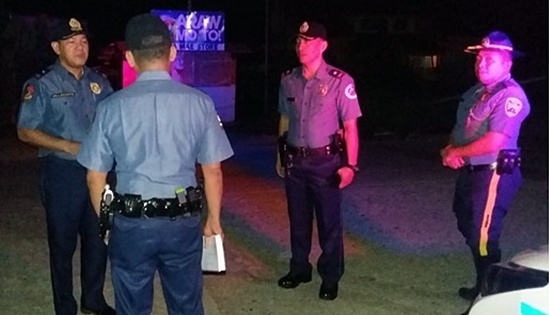 Villacorte reminds all its personnel especially those manning checkpoints to always observe the Police Operational Procedure (POP) and to respect human rights. The PNP, as one of the deputized agencies of the Commission on Elections plays a vital role in ensuring a peaceful, orderly and successful SK Elections. Furthermore, the PNP encourages the public to help the police and other law enforcement agencies by providing relevant and timely information and other unscrupulous activities through social media (Twitter - @Pro8Pcrd or Facebook Page – RupertoKangleon) or through the following: Dial 117 or text 2920; RPCRD 09173238683/09088146421; RTOC 09173114794/09478907155 and Isumbong Mo Kay Tsip 09178475757. PASAY CITY – Sen. Francis “Chiz” Escudero has urged more universities and colleges to follow the lead of Silliman University in Dumaguete City, which is on its way to becoming the first academic institution in the country to run completely on solar power. Silliman recently signed an agreement with First Solar Orion Energy Solutions Inc. (FSO), one of the largest producers of solar power in the world, to install in the 62-hectare campus a 1.2-megawatt solar power generating capacity to supply the power needs of the university. “We commend Silliman University for this milestone and we also encourage other educational institutions to promote the use of renewable energy (RE) in order to show the world that we are faithful in our commitment to reduce carbon emissions in the country,” said Escudero, chairman of the Senate Committee on Environment and Natural Resources. The Silliman-FSO deal was signed on December 18, or five days after the Philippines pledged to stop global warming and signed the historic climate accord in Paris, along with nearly 200 nations. “We should be proud that even schools have the initiative to use renewable sources because we need collaborative effort to be able to achieve a sustainable energy system and to end this fossil fuel era,” Escudero said. As Senate environment chief, Escudero also expressed his willingness to work with policymakers for the crafting and passage of new legislation that would help the country fulfill its climate change commitments. The deal, agreed at the UN talks in Paris, lays the foundation for countries to work together in trying to limit the global temperature below 1.5 degrees Celsius, well below the level of 2 degrees Celsius that is likely to signal the worst effects of climate change. The agreement also requires developed nations to continue to provide funding to help less developed countries cut their carbon emissions and adapt to the challenges posed by the changing climate. In a statement, Silliman said its agreement with FSO further bolsters its environmental advocacy and “walks its talk in reducing its carbon footprint” as its share in helping achieve the country’s climate commitments. Under the deal, the university will be the principal consumer and FSO will be the developer and supplier of the solar power. The cost of the solar energy consumption will be 20 percent less per kilowatt hour than what they are currently paying Negros Oriental Electric Cooperative II. At the same time, FSO pledges to provide free solar power to 240 poor families living around Silliman. According to data from the Department of Energy (DOE), only 37 percent of power generated in 2014 was sourced from renewable energy sources while 63 percent was sourced from non-renewable sources of power. However, DOE intends to triple the increase of the country’s RE capacity to 15,304 megawatts by 2030 from 5,438 megawatts in 2010.